There’s no escaping change — even when it’s bad. We’ve heard the data and projections for years, and now we’re seeing the early effects around the world: Melting ice caps, droughts and stronger storms. And, here at home, we may have seen our last smokeless summer. We can pretend it’s not real, or we can take the lead from a Vignette that shows what we can do to change it for the better — something we should have been doing all along. by the team or came from just outside Edmonton. Thanks to biologist and builder Jonathan Luckhurst’s beautiful botanical work, you almost expect to see birds and bees chirping and buzzing among the lush and vibrant germination. 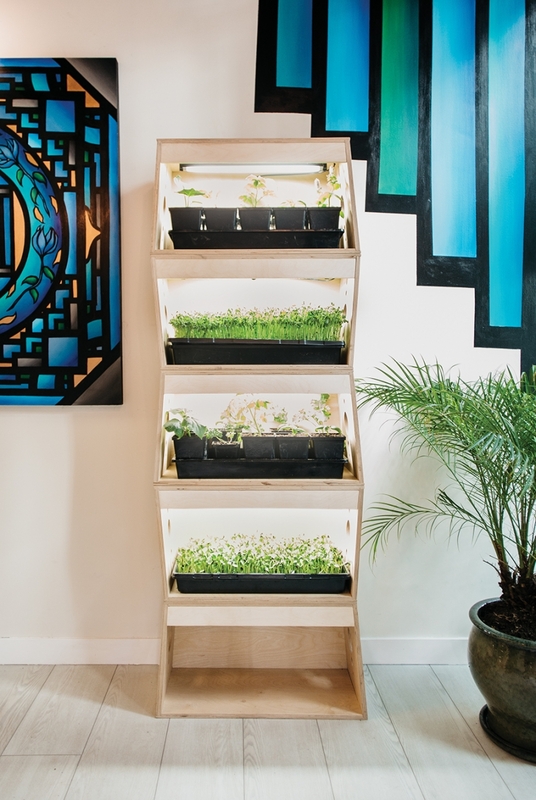 “That’s something I really wanted to demystify for people, the concept of growing real vegetables indoors,” he says. Like the rest of Vignettes Design Series, the space is beautiful and unique. 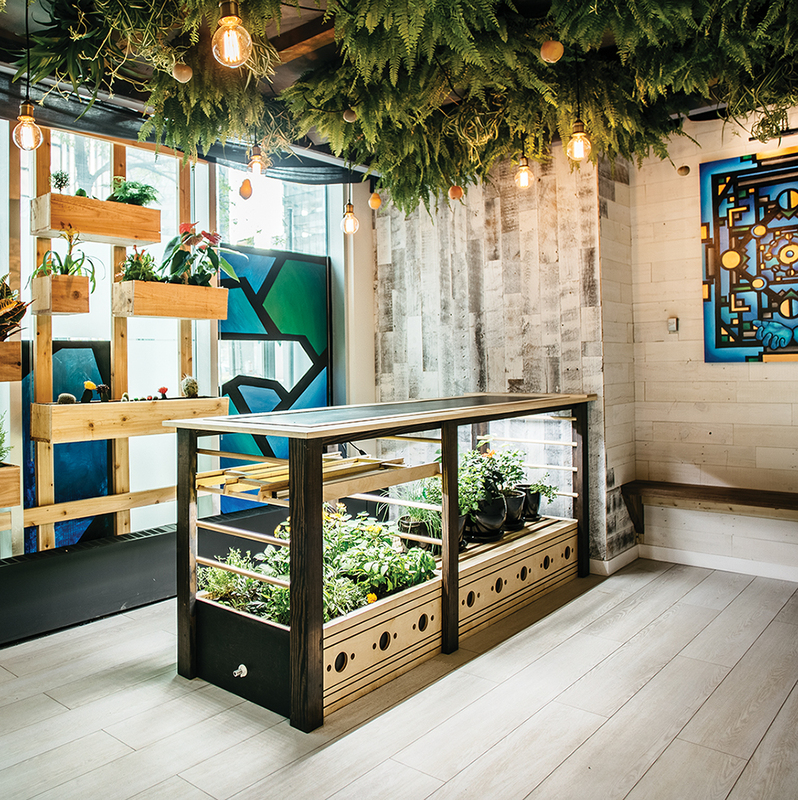 But as an artistic garden in the downtown core in what used to be a bank — every part of which will be sold and reused once the event ends — it’s more than a stylish art project. It represents what the city, and world, could be.